The New Waterfall Nursery Team! 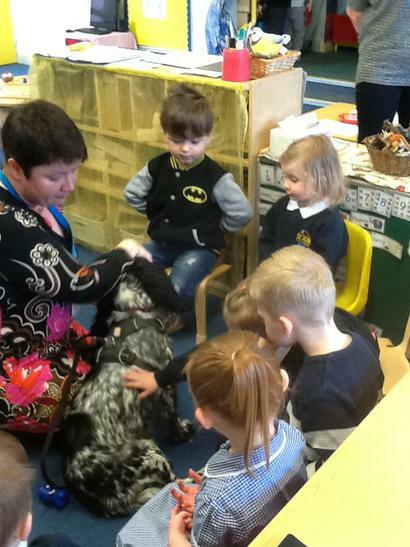 Welcome back to our returning children and a warm welcome to our new children starting Nursery this week. Last week we were busy carrying out home visits with our new Nursery children so some of you have already met the new Waterfall Nursery team. 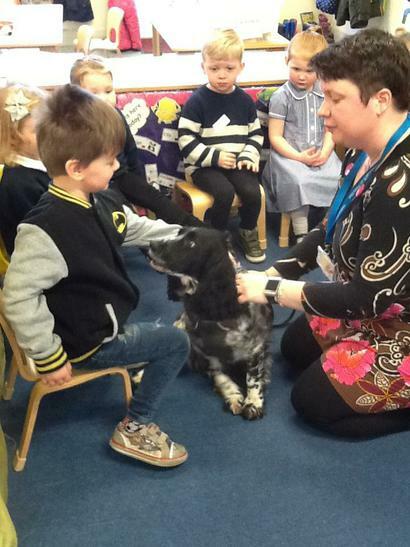 This term we will be focusing on settling children into Nursery, building positive relationships and ensuring children feel confident within their new learning environment. We will be exploring changes in the natural environment as we head into Autumn and learning about Harvest. There will be lots of exciting activities on offer every week, as well as, cooking activities. 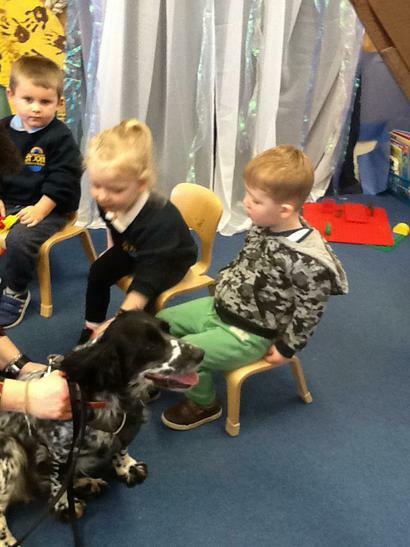 Visit from Binkey the dog! 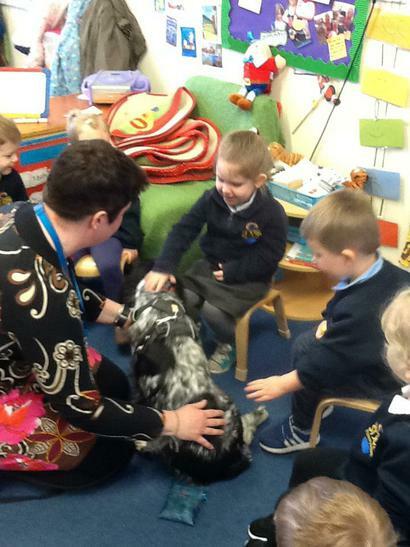 Today Mrs Barnes brought her dog, Binkey, in to Nursery to visit us. Binkey was very excited to see us and we were excited to see her! Some of us were feeling brave and gave Binkey a pat.